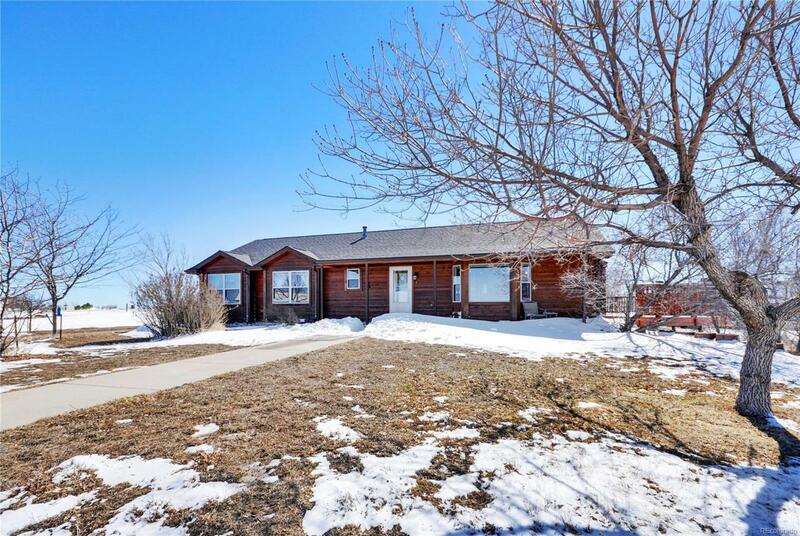 Fantastic ranch with finished walk-out basement on expansive 35 acres! Open concept, with inviting living, dining and kitchen flowing into one another. 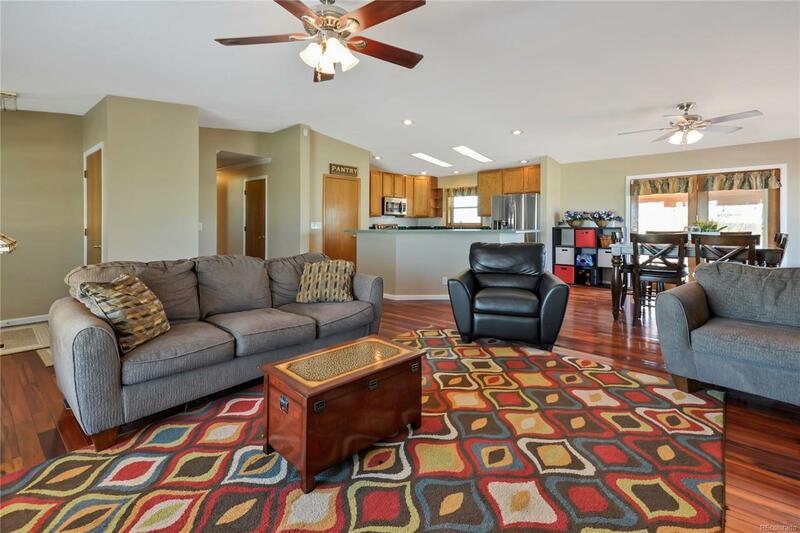 Gorgeous hardwood flooring throughout these rooms! Kitchen boasts stainless steel appliances, tile back-splash, wood cabinets and a large breakfast bar! Large windows and skylights bring in the sunshine and highlight sweeping mountain views! Endless entertaining options outside with an massive deck, covered patio and patio under deck outside the basement! 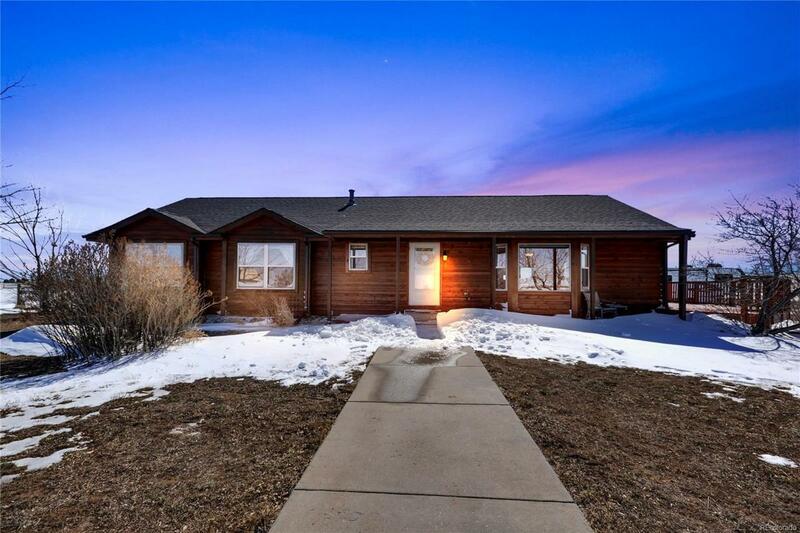 Mother-in-law set-up in the basement features a complete kitchen with tile flooring and wood cabinets! Two large basement bedrooms with an additional room that could be used as a study or hobby room! The fenced property is divided into four sections, the front, middle and back pastures and the yard. Gravel pad for RV with electric hook-up. 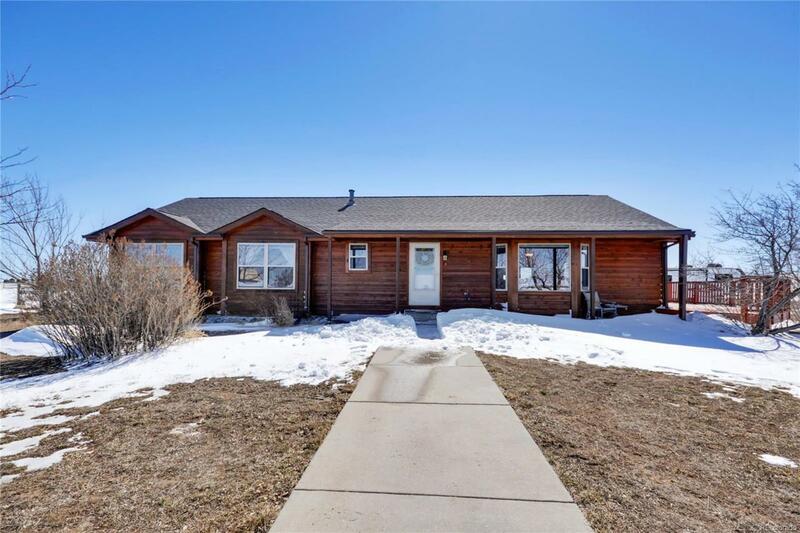 Large detached garage, 2 loafing sheds and chicken coop/shed. Set back from the road. New A/C. Alarm system included. Your Oasis on the plains!